I hope everyone had a great weekend! Mine was a 3 day weekend, but it still went by so quickly! I hate that about weekends… I look forward to them all week then once they finally come they just fly by. 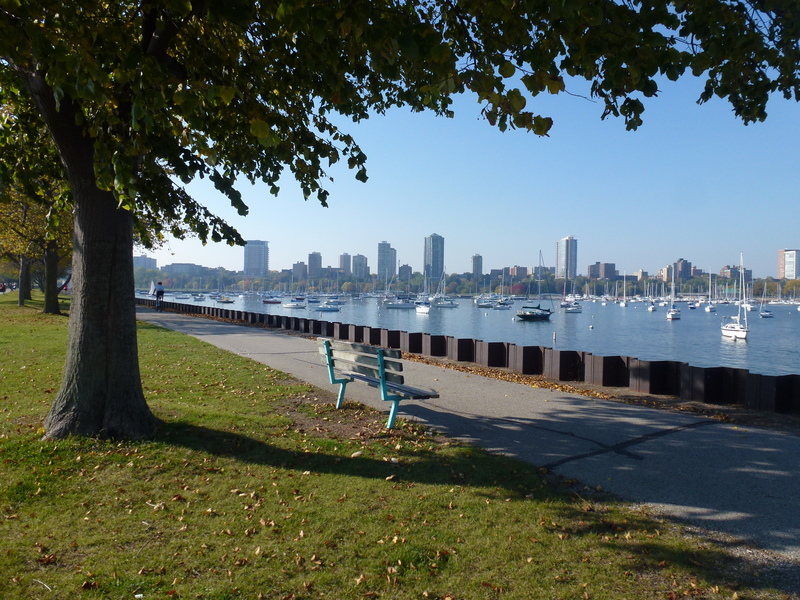 Still, it was nice having an extra day to relax and recuperate from work, and it definitely helped that the weather was absolutely gorgeous! 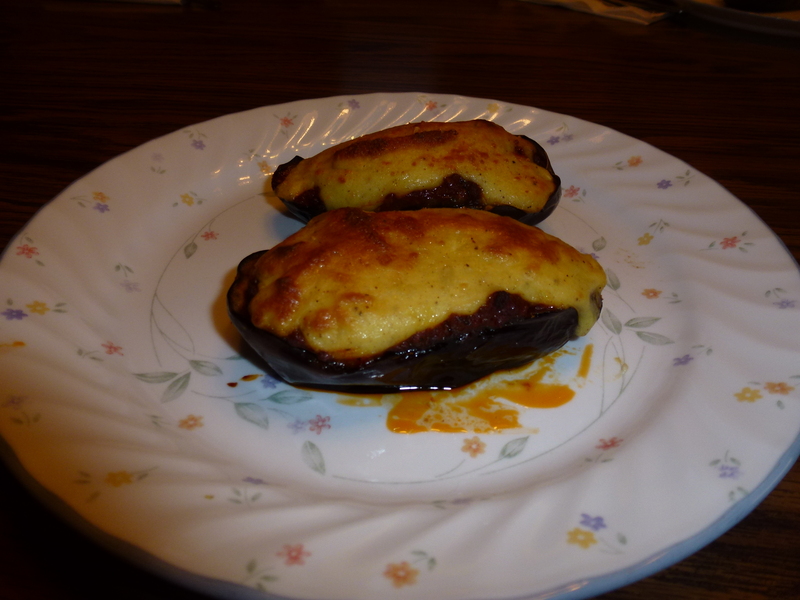 The weekend before last, I visited my parents in Illinois and my mom showed me how to make this really great Greek eggplant dish. Both of my parents were born in Greece, and my mom makes a lot of delicious, traditional Greek food. 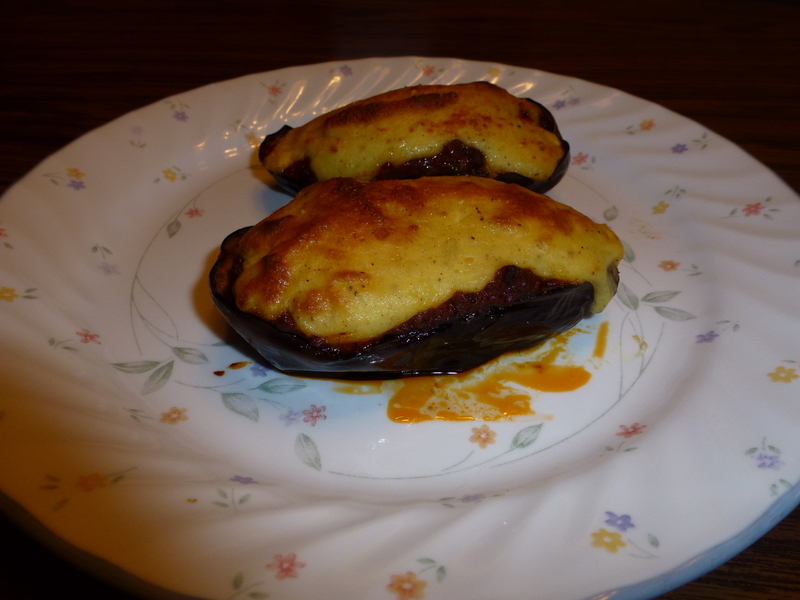 Eggplant is definitely popular in Greek cooking and it just so happens to be in season right now, so it’s the perfect time to try out this recipe! It’s not difficult, but it will look extremely impressive once you’re finished. I give you Aubergine Slippers! First, wash your eggplants and remove the stems. Cut them in half lengthwise and soak them in some salted water to get rid of the bitterness. 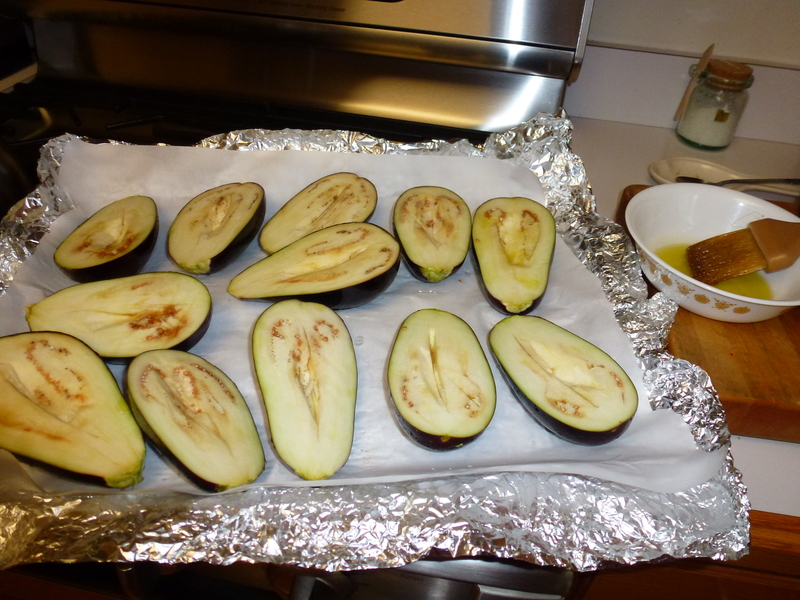 Rinse the eggplants, then scoop a little out of the insides. Coat them with oil and a sprinkle of salt, put them in a greased or foil-lined baking pan and allow them to bake in the oven until soft. 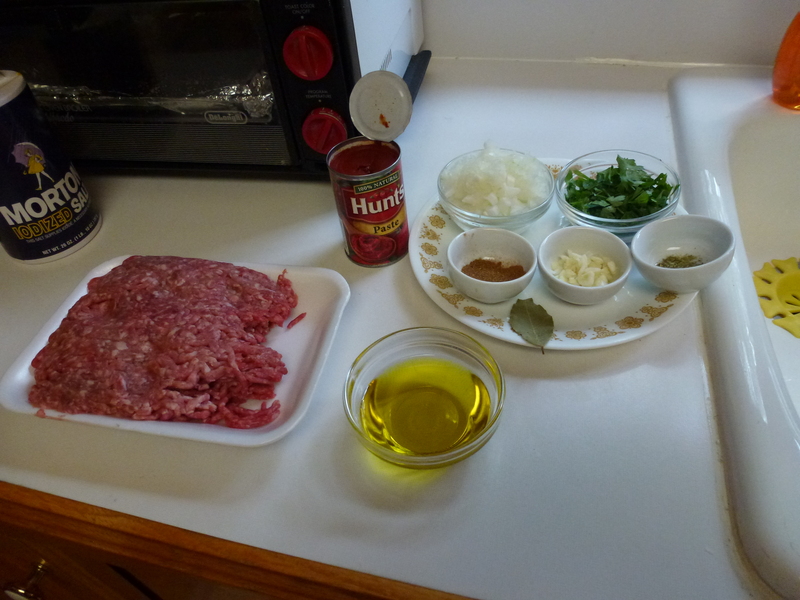 Next assemble your ingredients for the meat sauce. 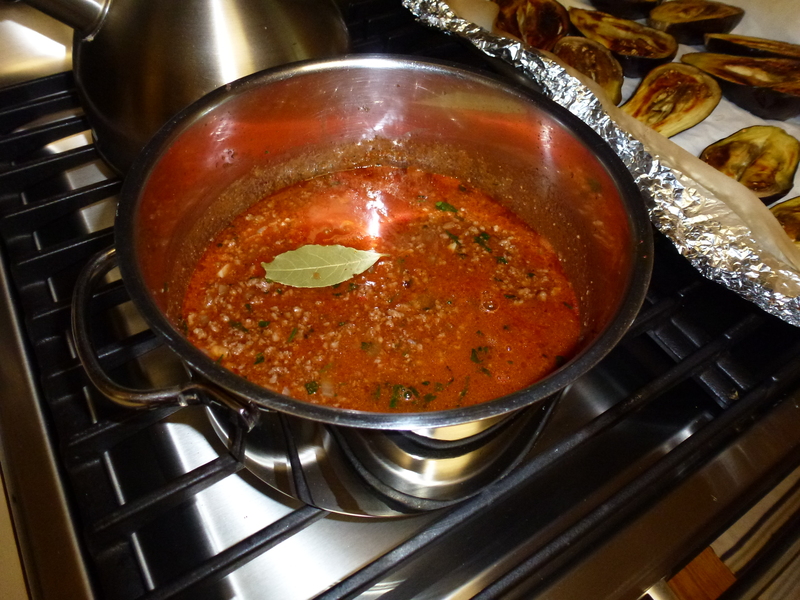 Ground beef, onions, garlic, parsley, white wine, tomato paste, salt, pepper, and a bay leaf. You could probably make the sauce vegetarian if you are not a meat-eater! Next, cook the onion then add in the garlic and ground beef. At this point, the eggplants should be about ready to take out of the oven. 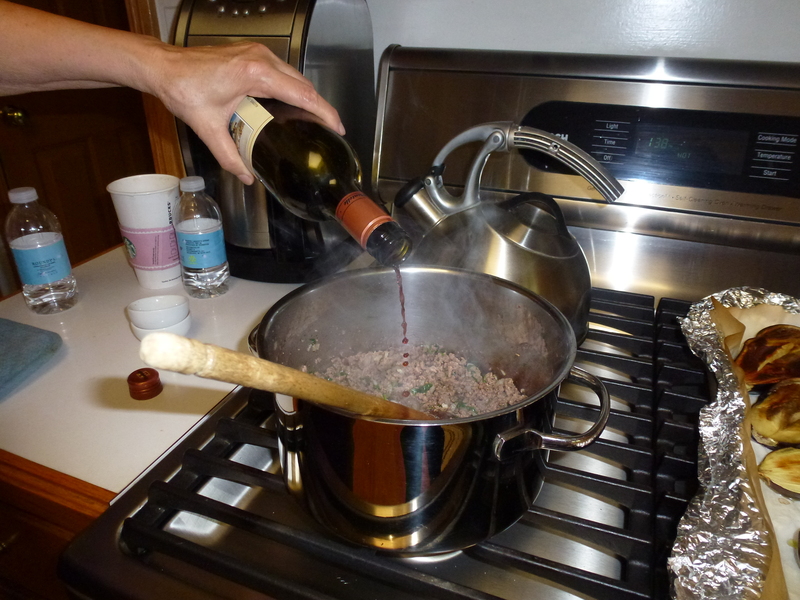 Then add in the white wine. Add the tomato paste into the mixture along with a cup of water. Finally, add in a bay leaf and cook on low for about 30 minutes. 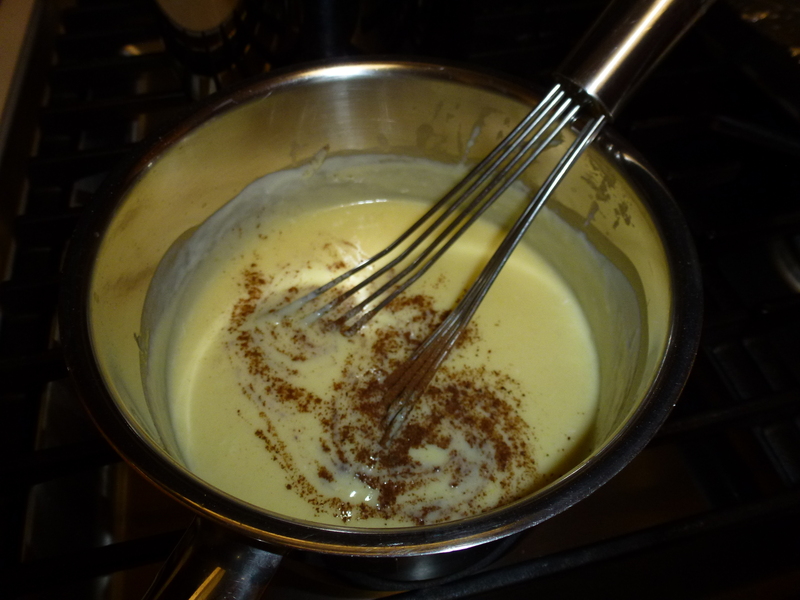 While the sauce cooks, start on the Bechamel sauce. Melt the butter in a saucepan. Add the flour, stirring quickly with a wooden spoon to prevent lumps forming. Pour in the milk, after having warmed it slightly first, and then add the cheese and salt, stirring the mixture constantly. Add in the nutmeg. When it thickens, remove from heat and allow to stand for one or two minutes. Beat the eggs and stir them slowly into the mixture, stirring continuously. 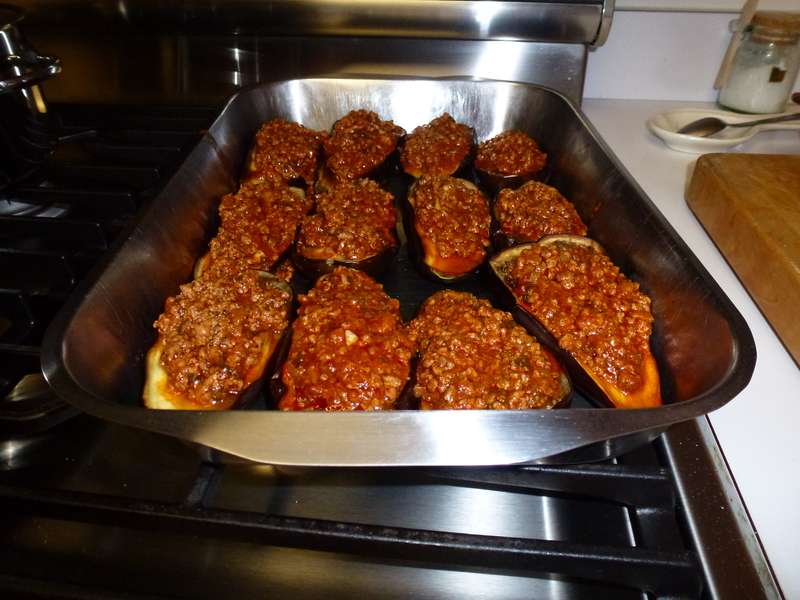 Spoon the meat sauce onto the eggplants. 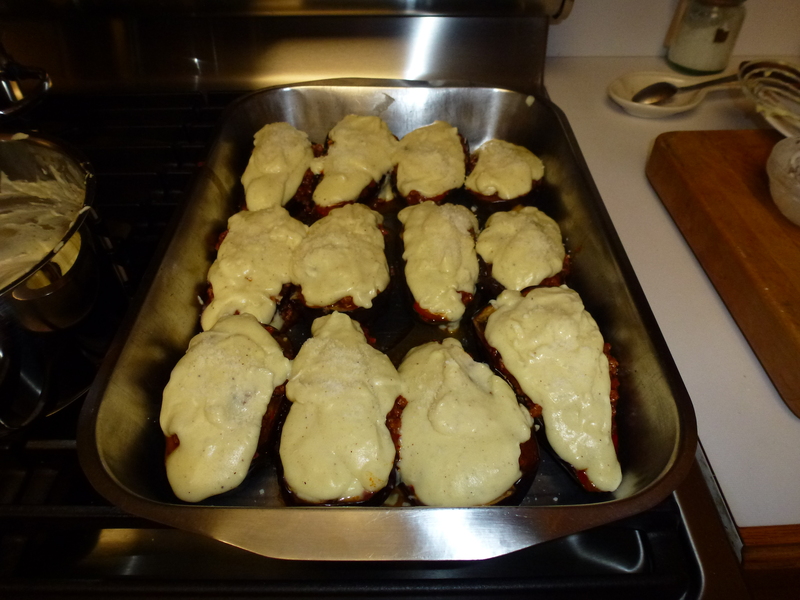 Then, cover the eggplants with the bechamel sauce. Top with some parmesan cheese. Bake them in the oven for 30 minutes at 350 degrees. They should come out looking like this! Preheat the oven to 350. 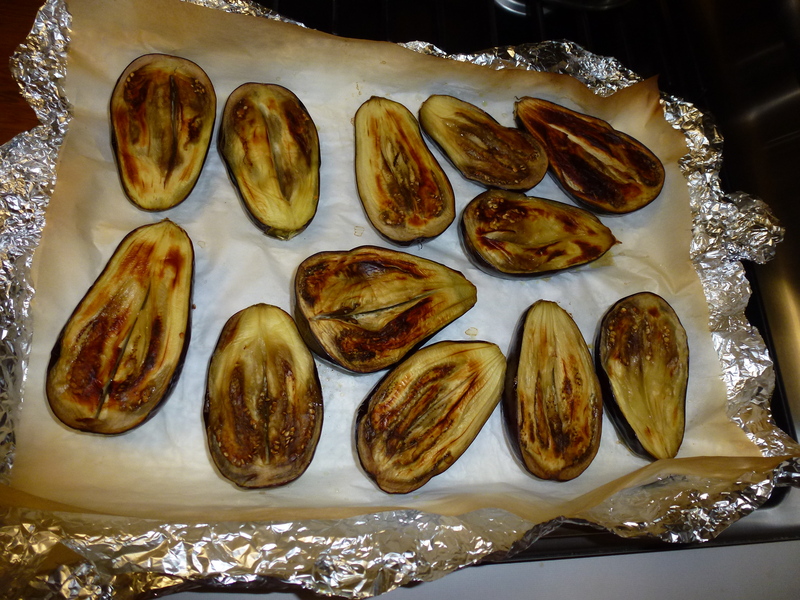 Remove the stems of the eggplants and wash them well. Cut them in half lengthwise and soak them in some salted water to get rid of the bitterness. 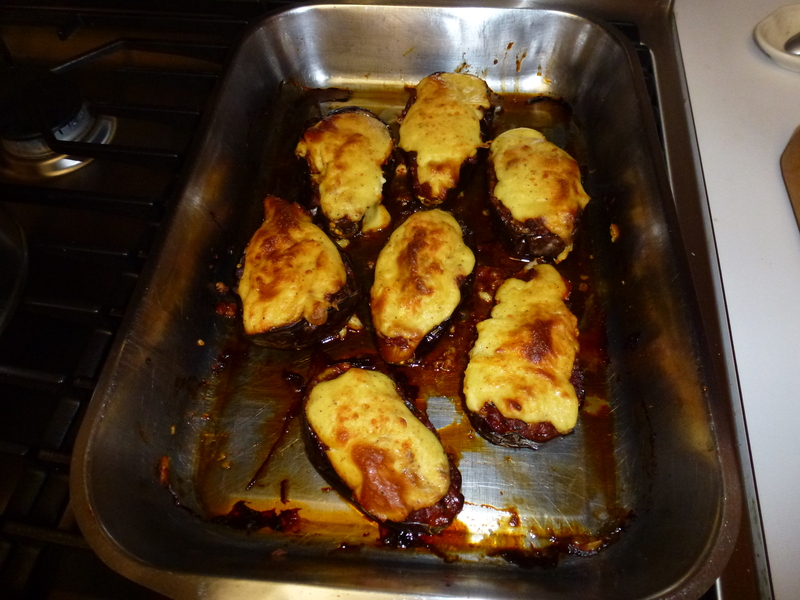 Rinse the eggplants, then scoop a little out of the insides. You don’t need to scoop out all the seeds, but try to get the majority. Coat them with oil and a sprinkle of salt, put them in a greased baking pan and allow them to bake in the oven until soft, about 20 minutes. You may need to cook them longer if they take longer to soften. Put the oil in a saucepan and heat. 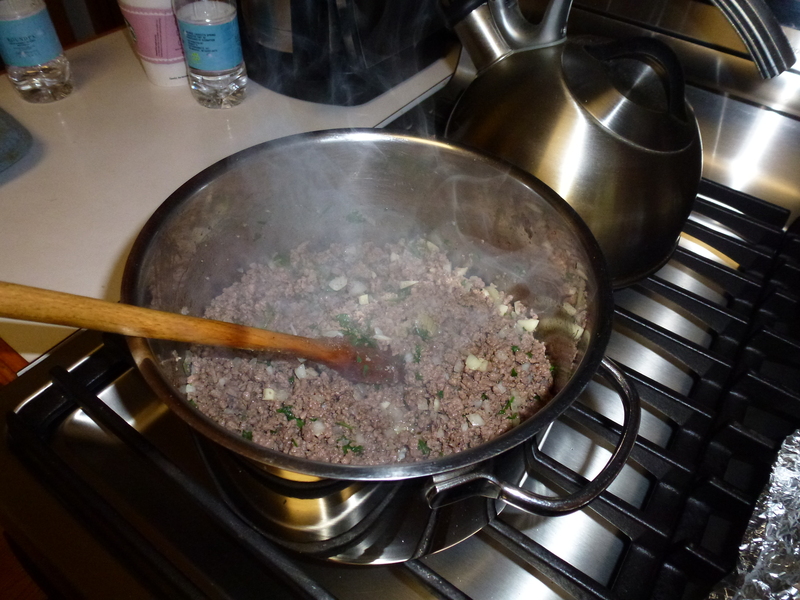 Add the onion and allow to soften, then add the garlic, ground beef, salt and pepper to taste, wine, and the finely chopped parsley. 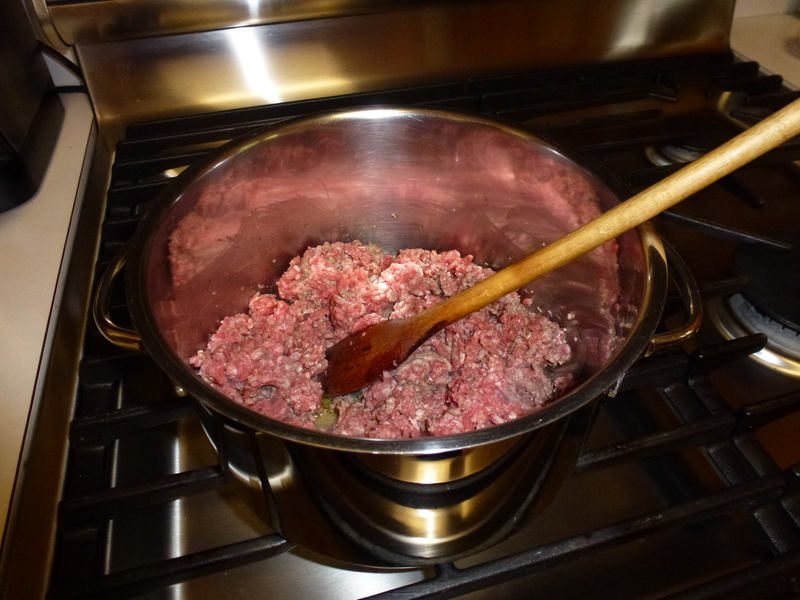 After the ground beef is browned, add the tomato paste and a cup of water. Allow this mixture to cook on low heat for 30 minutes. 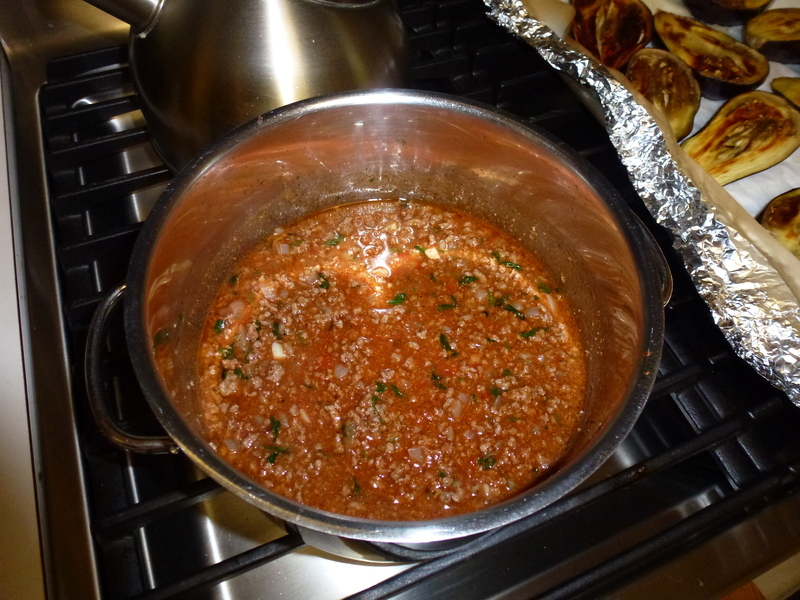 While meat sauce is cooking, begin the béchamel sauce. Melt the butter in a saucepan. Add the flour, stirring quickly with a wooden spoon to prevent lumps forming. 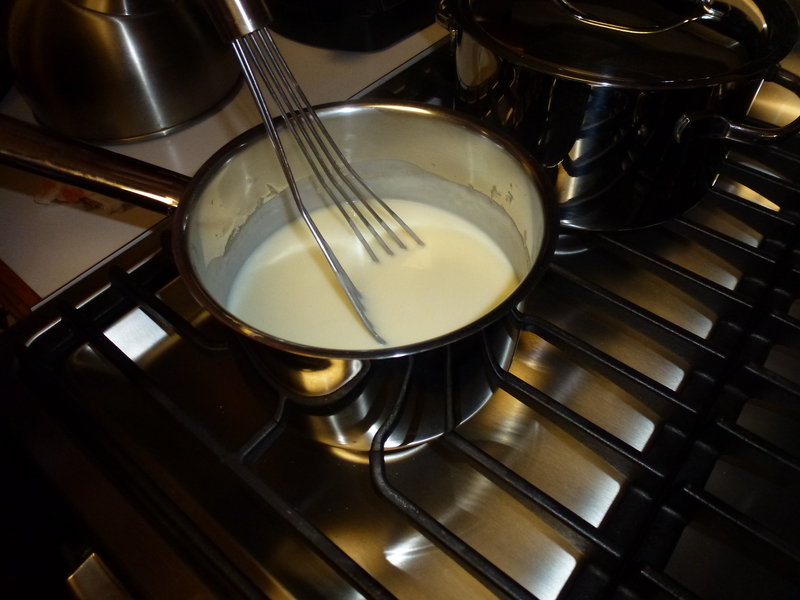 Pour in the milk, after having warmed it slightly first, and then add the cheese and salt, stirring the mixture constantly. Add in the nutmeg. When it thickens, remove from heat and allow to stand for one or two minutes. Beat the eggs and stir them slowly into the mixture, stirring continuously. 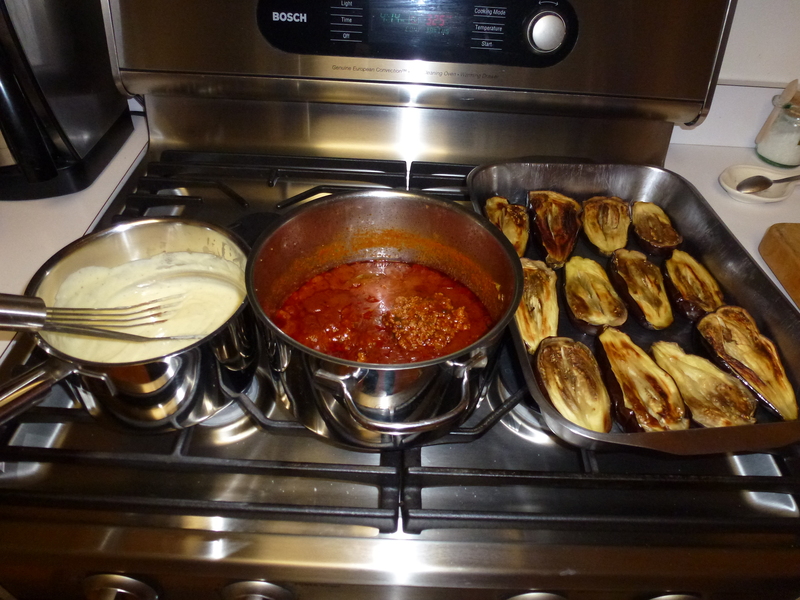 Spread the meat sauce mixture over the eggplants, then cover with the béchamel sauce. Finally, sprinkle with parmesan cheese and bake for 30 minutes at 350 degrees. You may have some leftover sauce. If so, it’s delicious with spaghetti as well! I hope you enjoy it! I sure did. 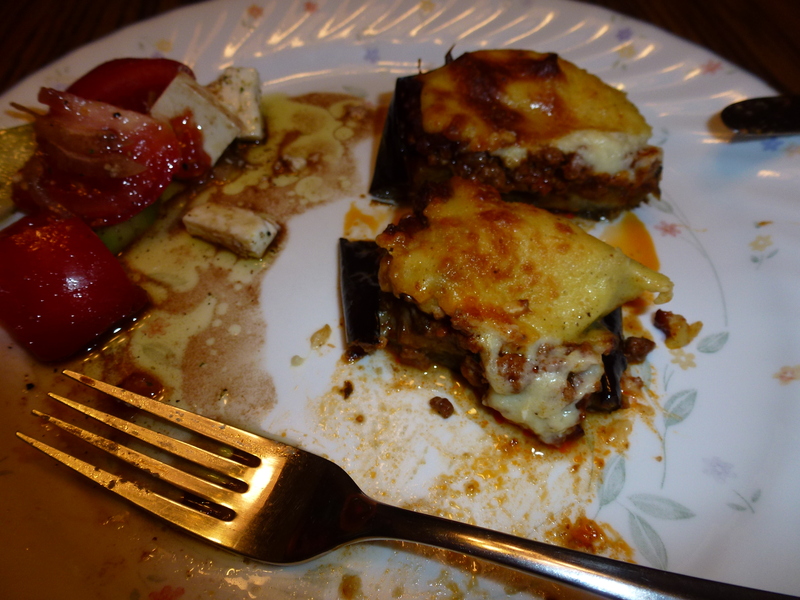 This entry was posted in Greek Dishes and tagged aubergine slippers, bechamel, eggplant, Greek, traditional. Bookmark the permalink. 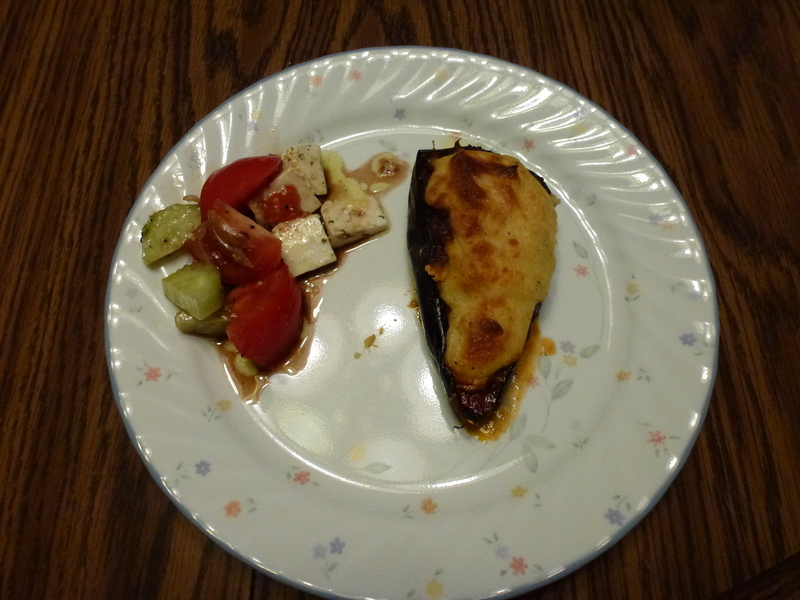 Thanks for sharing the great Greek recipes. Do you think ground turkey could be used to substitute for the ground beef? Yeah I think that would be just fine! Chicken would be good too.